The Bistro Electric Burr Grinder crushes the coffee beans between conical burrs rather than chopping them, preventing the coffee from losing its characteristic taste and aroma. 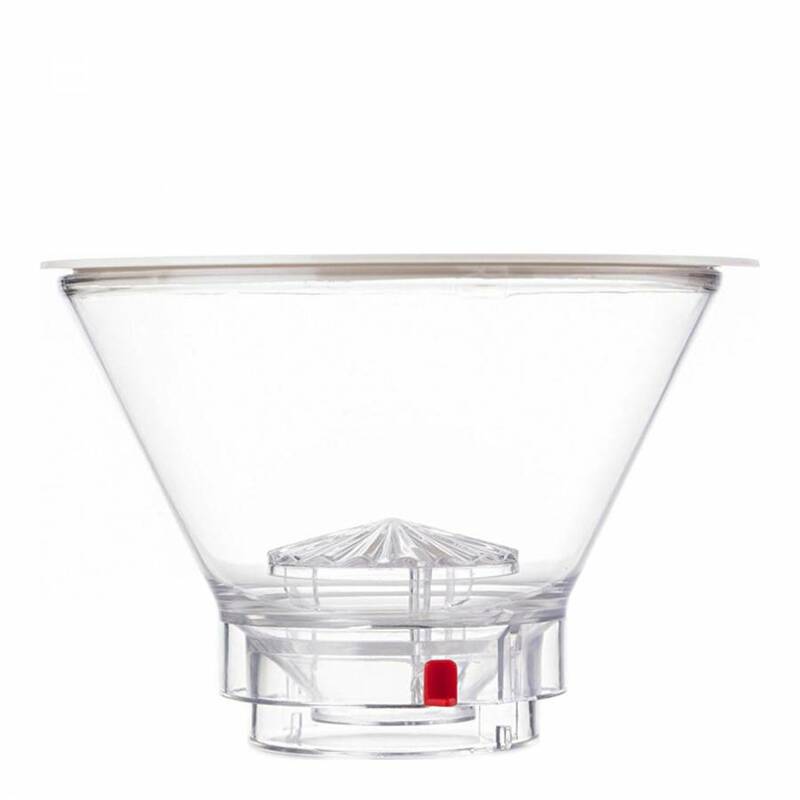 By twisting the upper bean container, the variable grind settings can be adjusted from a coarse French press setting all the way down to a fine ground for espresso, depending on the brewing method or personal taste. The Bistro Electric Burr Grinder comes with an attractive, static-free borosilicate glass Presso container that conveniently sits within the base of the unit to collect ground coffee during use and also features a non-slip silicone band for secure handling. 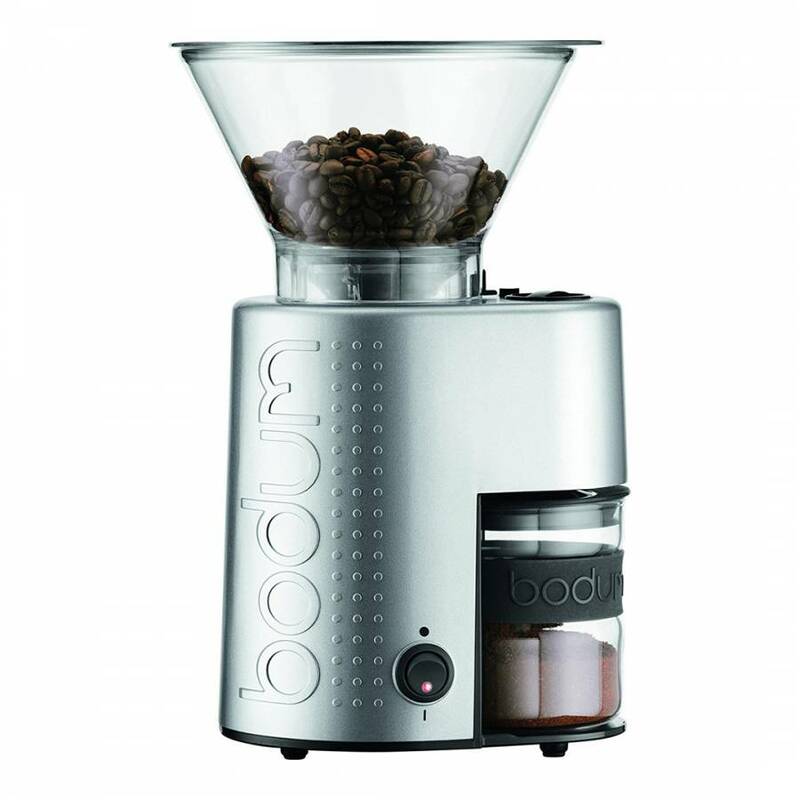 The new Bistro burr grinder metal body is made of 100% aluminium.